I would love to have my everyday dinner as simple and flavourful as this! Another fab dish. I hope you enjoyed your Birthday!!!! 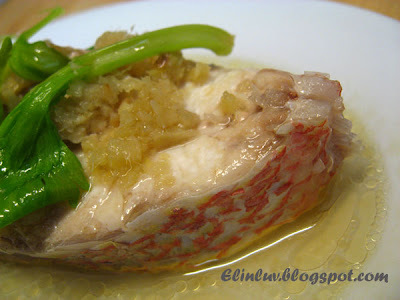 tomorrow i will do this.. my girl likes steamed fish only.. then only she will eat more .. hey, tonite i tried the mushrooms.. haha.. turned out to be comical.. hahhaa..
What a beautiful, light, and flavorful meal! I love the simplicity of this dish. Yes, I also like simple, quick and easy dish like this one. @ Miranda : Yuppy :) I enjoyed myself tremendously ! 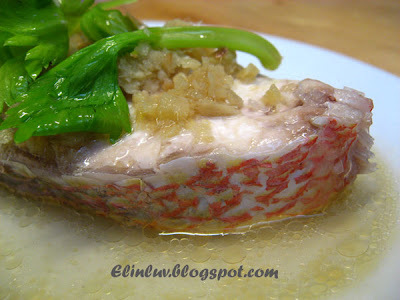 @ Cookin' Canuck : Hi CC..I love this dish for its simplicity too! Flavorful! This dish looks very delicious. 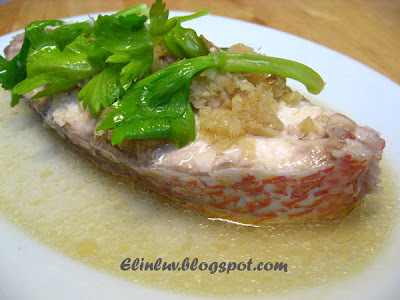 I love steamed red snapper.....simple and nice. A wonderful dish! 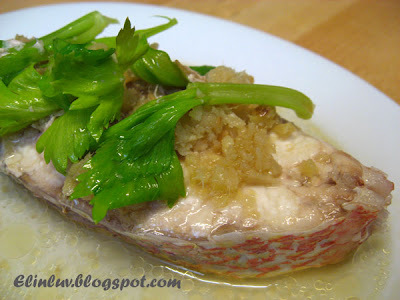 I love steamed fish and this would be perfect with hot rice. Delicious!